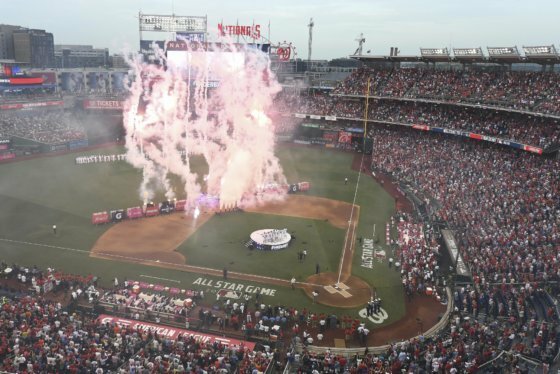 The All-Star game on Tuesday brought with it more than a fun distraction, it also offered a glimpse into the potential future of a National's superstar. 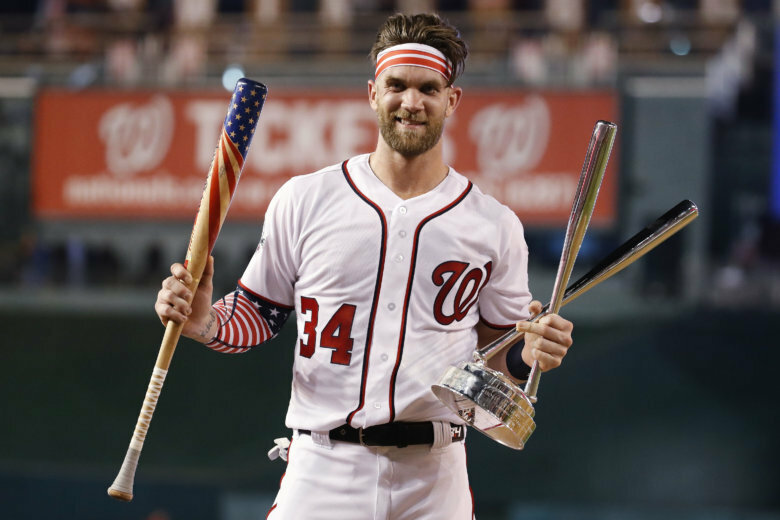 WASHINGTON — The All-Star game on Tuesday brought with it more than a fun distraction, it also offered a glimpse into the potential future of a Nationals superstar. Nats’ right fielder Bryce Harper said at a press conference via NBC Washington that he hopes that he will be sticking around D.C. for the foreseeable future, largely for his love of Nationals manager Dave Martinez. Harper is a free agent at the end of this season, and it has long been speculated that he would play the 2019 season in a different city. While he is on track to hit 40 home runs this season, his batting average going into the All-Star game was .214, which would be the lowest of his career. The comments from Harper—made during the dedication ceremony of the Bryce Harper All-Star Complex at Fred Crabtree Park in Herndon—were some of the first from him that indicated an intent of staying in D.C. after the end of the season. On Tuesday, Harper seemed to put the ball in the Nationals court when asked if he was going to stay in Washington when his contract is up. Baltimore Orioles legend Cal Ripken Jr. offered some insight into how an impending free agency can affect a player’s performance, having gone through a similar situation in his 1992 season when contract negotiations with the O’s were going on during the regular season. Ripken’s advice to Harper was to know when it is time to negotiate and when it is time to play ball.